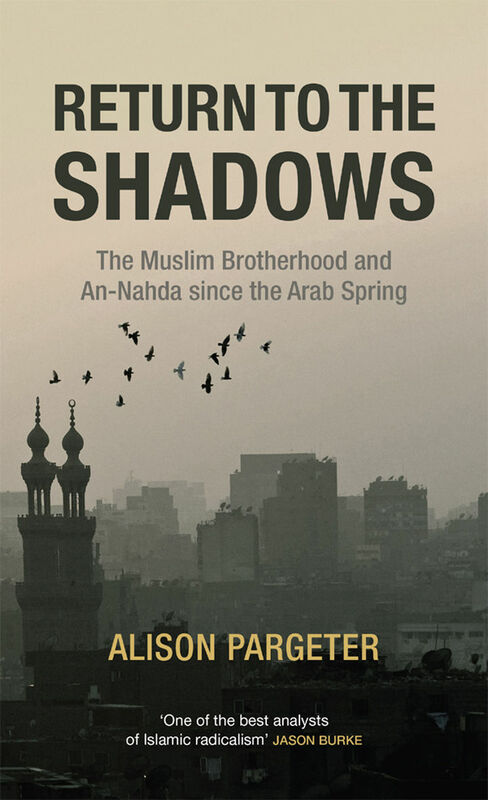 In Return to the Shadows, Alison Pargeter details the fall from grace of Muslim Brotherhood affiliates in Egypt, Libya, and Tunisia in the aftermath of the Arab Spring. Her thorough account of the Brotherhood’s rise to power during the protests of early 2011, and eventual fall under the majoritarian and insular rule of Muhammad Mursi in Egypt, of failed attempts by the Libyan Brotherhood to secure its place in the post-Qaddafi political order, and of An-Nahda’s unsuccessful troika government is a fantastic resource. With so many of the details of the 2011–2016 period having faded into myth, Pargeter sheds light on how exactly the Brotherhood came to be a key player during a period of unprecedented regional upheaval and how it was unable to maintain this position in the face of increasing political challenges. Pargeter skilfully provides a gripping narrative of the Brotherhood’s rise and fall without succumbing to conspiracy theories that have dominated much of the literature about the organisation. She takes care to emphasise the oft-overlooked fact that the Muslim Brotherhood is a gradualist, rather than revolutionary, group in its approach to politics – one reason that it was so unprepared for, and uncomfortable with, many events of the Arab Spring. Pargeter also highlights how, having existed as an opposition movement for decades, the Brotherhood was unprepared for rule, lacking economic and political agendas needed in leadership. Traditionally only contesting a small number of seats in parliaments throughout the region, the Brotherhood was also unaccustomed to having to search for supporters beyond its traditional base – another shortcoming it faced as a ruling party. Indeed, because the Brotherhood could garner supporters due to its social programmes, rather than its backing for particular policies, it could avoid specificity about its policy aims. As Pargeter puts it, ‘the cold reality is that the Brotherhood was simply not up to the job of ruling, or of functioning as a modern political force in the contemporary age’ (p. 110). Although she is, for the most part, remarkably even-handed in covering the Brotherhood (a difficult task given the present political mood), Pargeter overlooks the flexibility and adaptability of the movement, as well as its commitment to democracy. She claims that the Brotherhood was ‘ultimately brought down by its own intellectual shallowness, and the flimsiness of the core tenets to which it had anchored itself since its inception’ (p. 7). This assessment fails to take into account the degree to which the Brotherhood has managed to adapt itself to a variety of economic and political environments in different periods throughout the Middle East. Certainly, if it were completely rigid in its ideology, the Brotherhood would be unable to operate in environments as different as Morocco and Saudi Arabia. That said, many Brotherhood members recognise that the group’s core literature has not changed in decades. Second, I believe that Pargeter underestimates the Brotherhood’s capacity for and commitment to internal democracy and self-assessment, positing that ‘the Brotherhood is an authoritarian movement by nature, and self-examination and self-criticism have never been part of its routine’ (p. 109). While the Brotherhood undoubtedly has a hierarchical structure, it has also rather faithfully implemented internal democratic practices in selecting the leadership. Indeed, looking to the Gulf in particular, the Qatari Brotherhood engaged in an extensive study that led to the group’s vote to ultimately dissolve itself – a remarkably introspective and democratic move. Because she presumes that the Brotherhood lacks a commitment to democratic practice, Pargeter seems to see it as more self-promoting than it may in fact prove to be. She thus overstates the uniqueness of An-Nahda as being ‘more enlightened’ than the Brotherhood (183). It is my sense that Brotherhood movements today are increasingly adopting pro-reform agendas to grant them – and other opposition movements – greater access to decision-making apparati. Despite these small points of disagreement, several interesting theoretical points arise in this book and will inform my analysis of other cases. Pargeter points out that the degree to which the Brotherhood can use its position as an Islamist party to gain votes differs, depending on local circumstances – a logical yet important notion. Indeed, she highlights that, ‘while in neighbouring countries the Brotherhood could present itself as a defender of Islam and as the voice of authenticity, the Libyan Brotherhood had no comparable role to play’ (p. 152). Much the same could be argued in the Gulf states that I study. Further, Pargeter’s point about ideological politics being more compelling in some circumstances than in others is also instructive. Indeed, the Brotherhood found it difficult to gain a large following, due to the prominence of tribal politics (p. 153) – another feature of political life in the Gulf. The question of what makes an Islamist party distinctly Islamist also comes into play, particularly looking at the Tunisian case. As Pargeter explains, ‘An-Nahda found itself making compromise after compromise, with the result that it started to look like an Islamist party that was ruling without Islam’ (pp. 215–216). That the Brotherhood’s pragmatism and moderation of its political and social agenda have led to the emergence of more conservative, Salafi-inspired groups is an important change in the region, with major political implications. Indeed, these groups emerged not in situations of repression, but when greater political freedom was granted (p. 226), and their political trajectory will be interesting to follow in the coming years, given that they have not been maligned as much as has the Brotherhood in recent years. Pargeter’s conclusion is an important one, and one that is supported by my own research on Muslim Brotherhood affiliates in the Gulf. She resolves that, though the Brotherhood has been harmed by recent events, it will continue to be a major political force in the Middle East – particularly because they are ‘mass social movements’, rather than merely political parties (p. 253). Further, issues with which the Brotherhood was grappling in 2011, namely about the influences of modernisation and Westernisation, persist today, making it all the likelier that the Brotherhood will remain part of the Middle East’s political landscape. In sum, this book provides an important resource and is recommended reading for any student of the region. Though it could engage more deeply with other theoretical literature on political Islam, particularly on exclusion and moderation, this book fills an important gap in providing a detailed narrative of the events leading the Brotherhood to return to operating more covertly. Courtney Freer is Research Officer at the Middle East Centre, Kuwait Programme. Her research focuses on revising rentier state theory by examining the socio-political role played by Muslim Brotherhood affiliates in the so-called ‘super-rentiers’ of Kuwait, Qatar, and the UAE.